September 8th, 2013 | Wheaton World Wide Moving. 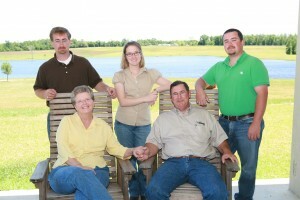 Owning a cattle farm is hard work, and for the Gilmore family, it truly is a family affair. 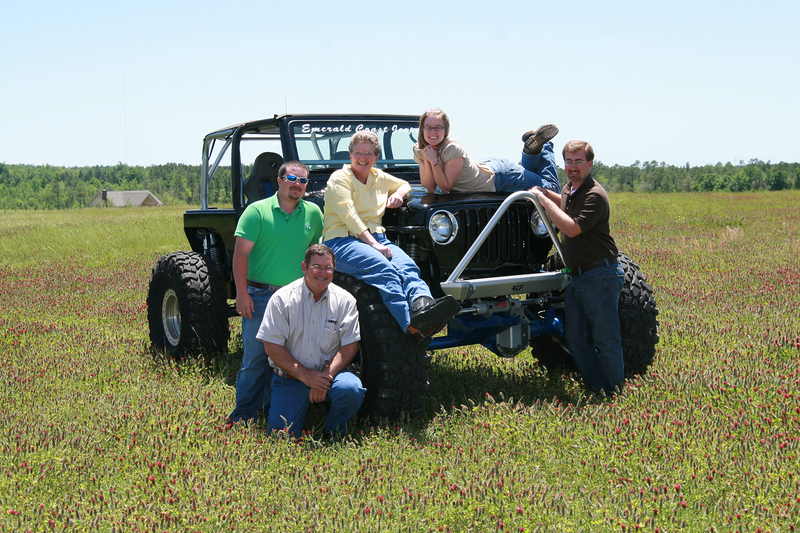 Located in the Florida panhandle, the Gilmore’s farm, Gizmo Angus Farm, is their pride and joy. With family involvement in the farm spanning three generations, the Gilmore’s live and breathe their work on the farm and find that it’s a passion that the whole family can share and enjoy. So how does a family get started running a 200-head cattle farm? The Gilmore’s say it happened gradually. Farming has always been an interest for the family; in fact, Debbie and Ronnie Gilmore, the patriarchs of Gizmo Angus, began their initial work through their involvement in 4-H. When they got married and had children, they encouraged their two boys to also participate in the organization. Lucas the oldest son, began showing steers at age 12 and was followed by Jacob, the youngest child, a year later. They chose to show steers based on the thought process that you can make more money with steers than you can with other animals such as horses. That began the Gilmore’s love affair with cattle, and it hasn’t stopped since. Debbie Gilmore bought her husband Ronnie his first cow for his birthday back in 1991 and she says the rest is history. The farm started as a small plot of land at their house with only five cows. By 2001, when Jacob graduated high school, the family had purchased 400 acres of land and accumulated a total of 200 cows, 120 of those being mothers. The operation has grown even more since 2001. Their main focus on the farm is to sell purebred Angus bulls to commercial cattlemen which in turn help the cattlemen improve their own cow herds. “You have to stay on top of what’s working in the industry,” said Debbie. This is especially evident in Debbie’s work studying genetics. Figuring out how to breed each cow is the lynchpin of the family business and Ronnie says that “Debbie is the brains of the operation”. “She’s the one who leads this rodeo,” Ronnie says with a laugh. Whereas Debbie studies the genetics of the cows, Jacob and Ronnie’s passion lies in judging the cattle and looking for ways to improve on them. Even Jacob’s wife, who, according to Debbie is a “total city girl”, has started getting involved in the operation. 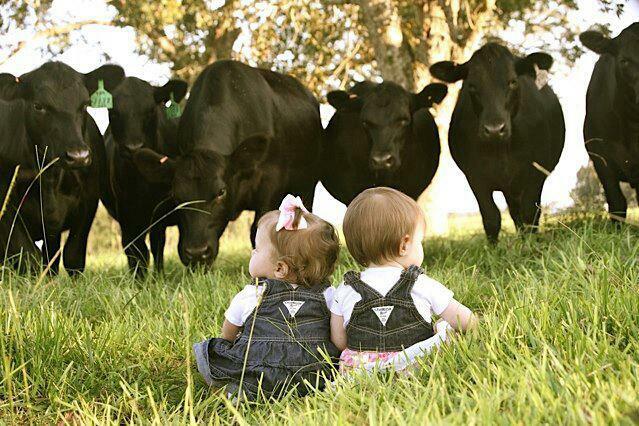 “She’ll get out there and try to learn how to pick the best cows. She asks a lot of questions and has learned quite a bit about the cattle operations,” Debbie explains. The third generation of Gilmore’s, Jacob’s twin daughters, have already picked out their own heifers. They might be only two years old, but they’ve already embraced life on the farm and enjoy riding in the family Gator and looking at the cattle with their mother and father. Gilmore Moving & Storage began in 1955 by Ronnie’s father. The moving company signed on to become a Wheaton agent in 1979 and have enjoyed being a part of the network of agents ever since then. Their favorite part of being a Wheaton agent? The fellow agents and the friends they’ve made throughout the years. “We’ve really appreciated and enjoyed the relationship with Wheaton over the past few decades,” Debbie said.